ICND & Ascent Processing have long been partners in the Vacation Rental industry and we’re excited to announce their newest product, ASCENTpay. ASCENTpay powered by Uplift is an essential tool for vacation rental companies that is both beneficial to guests and property managers. It is not required to be a current Ascent Processing client to utilize this product. ICND is fully equipped to implement ASCENTpay on your website today. Why should you use ASCENTpay? ASCENTpay is easily integrated on your website and allows guests to pay for their vacation in low, fixed monthly payments. Guests simply select ASCENTpay as a method of payment during booking. Why is ASCENTpay great for guests? We’ve seen a similar trend in e-commerce shopping, but ASCENTpay is the first unique offering of its kind for the vacation rental industry. This cutting-edge technology will create a simple and easy process for guests making their dream vacation affordable and attainable. Visit Ascent Processing’s website or contact us to learn more. ICND will soon be jet-setting for conference travel and we’re excited to say the least. In September we’re attending Streamline Summit and Rezfest, with VRMA International on the horizon in October. In preparation for September travel, we sat down with resident travel expert, April Burns. Come see us on the road! Q: What’s your favorite part about gearing up for conference travel? AB: It is an exciting time of the year when conference season approaches. The energy in the office goes up as we work on new campaigns, swag and new products to showcase. Q: What do you most enjoy while at the conferences? AB: During a conference it is great to explore a new town and get to see the local sites, but in the end it is the opportunity to see current clients and meet new friends. There is a core group of vendors that travel to these events and become your second family while you are on the road. They are there to help in times of need and for a good laugh. We also have our usual attendees that come to each event. Some of them may be your client, but some become friends that you get to see and catch up with each year. Q: Tell us a bit about ICND’s conference theme for Fall travel. AB: Each season we love to come up with new theme and play off them for our swag and booth. We have many VRM’s looking forward to our t-shirts every year and this year will not disappoint. I think that might be all I can really say…but have you ever seen Better Call Saul(s)?? Q: What are your tips for keeping the conference energy in forward motion after returning to the office/daily routine? There is a core group of vendors that travel to these events and become your second family while you are on the road. Q: Is this your first Streamline Summit? AB: This will be ICND’s second Streamline Summit and I have been fortunate to attend both of them. Q: What is unique about Streamline Summit? AB: Streamline really rolls out the red carpet for their clients and vendors. Each year they have a unique theme and provide great events. Q: Tips for Scottsdale, AZ? AB: I have never been to Scottsdale, AZ, so I am very excited to explore this town. I have heard so many positive things about Scottsdale. Q: Is this your first Rezfest? AB: No, this will be my 3rd time attending RezFest. Q: What is unique about Rezfest? AB: RezFest gives us the chance to connect with our current Homeaway clients, while meeting new people. It also gives us the chance learn about the next exciting steps with Homeaway. RezFest offers a great conference experience while allowing time to really mingle with the attendees and getting to enjoy the area. Q: Tips for Marco Island. AB: Marco Island is a gorgeous beach town, so take time and get out to explore. We get to travel to some gorgeous locations so make sure you take time to get outside and see what they have to offer. Q: You’re an experienced traveler, how many countries have you been to? AB: I have been fortunate to go to over 30 countries. Q: What was your most recent trip? AB: My most recent international trip was to Australia for RezFest Australia. Q: Tell us your tips for the novice traveler. Tip #1 – I try to travel with a carry-on, as I have had my luggage delayed in the past, but when I do have to check my bag, it is important to place a card with your name, phone and where you are traveling to (including airline details) inside your checked luggage – baggage tags can be ripped off and this will give them the chance to locate you and reconnect you with your bag. Tip #2 – Make a copy of everything – may passport and travel itinerary, and keep it in a separate location, in the event I lost my documents. Tip #3 – Be a good ambassador for your country – prepare for long flights, research the location you are going to ahead of time and pack your patience! A smile and a good southern hospitality go a long way! Be on the look out for April when she hits the road for our September conference schedule. April wears many hats here at ICND, but she’s widely known among our crew as the Director of Fun. However, after reading her travel tips we may have to add another title, Director of Travel! We’re excited to see you on the road! 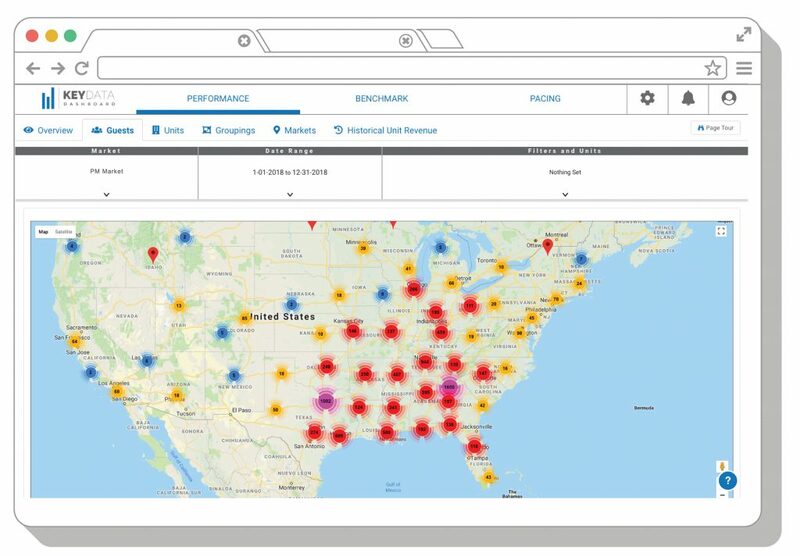 InterCoastal Net Designs is excited to officially announce our partnership with Key Data Dashboard. Key Data Dashboard’s products are a natural fit for our vacation rental client base. Their software integrates seamlessly with your Property Management Software to provide real-time insights focusing on the health of your business. What Can You Expect from Utilizing Key Data? Key Data Dashboard’s software provides three integral ways to plug into your metrics – performance, benchmark & pacing. Performance: visualize vacation rental data, instantly! Regarding performance, Key Data provides an instant look at your revenue sources and can get targeted insights per property. Additionally, the software provides a unique geo-targeted heatmap. See exactly where your guests are coming from! Benchmark: Keep a pulse on your competition. Key Data’s benchmarking allows you to easily compare how your metrics stack up within your particular market. For instance, did you book more nights than your market competition? Pacing: Examine future performance as of today vs. last year’s performance as of the same date. Pacing allows you to visualize your revenue and insights in readily available charts. ICND & Key Data’s partnership provides a unique opportunity to enhance the product with Demand Data. ICND will provide Key Data with insight search analytics on a per client basis. We will be able to provide Key Data with unique data such as dates and amenities a guest searches for on the site. Previously Key Data did not have access to this information, however, the partnership with ICND provides a full look at your site’s data and analytics. This allows Key Data Dashboard to provide our clients with a comprehensive view of your site’s performance and how best to market towards your clientele. What does this partnership mean for ICND Clients? Key Data Dashboard’s products eliminate hours of reporting and analyzing your data. Our partnership with Key Data presents a very unique offer for our current clientele, making the adoption of their product suite a no-brainer. Starting August 1, 2018 – all ICND clients can receive Key Data Dashboard for FREE lasting through July 31st, 2019. There’s no reason not to try this software that is sure to be an integral part of your business moving forward. Contact us today to get started for FREE with Key Data Dashboard. You can also connect with your account representative directly or call 910-575-6095 and reference this offer. We’re excited to partner with industry leaders and provide this unique opportunity for our client base, and look forward to this successful partnership with Key Data Dashboard. We are so excited to launch our very own podcast where we will be talking about everything from Marketing Strategy to Vacation Rental News and everything in between! Alright, we will have a little fun with it too and there might be the occasional joke or two. 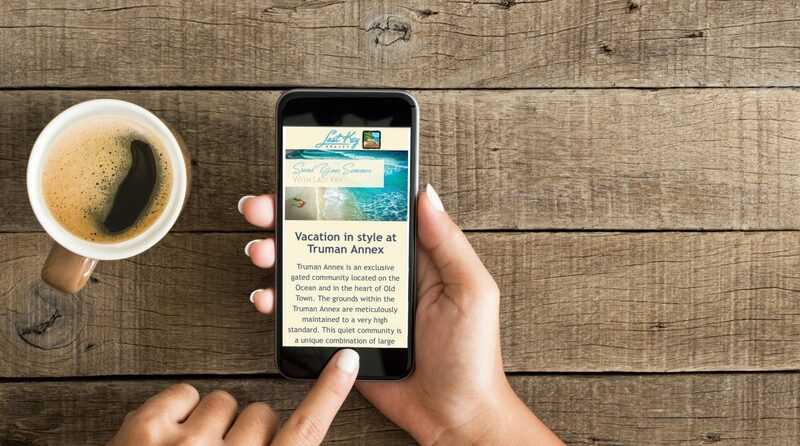 We pride ourselves on staying ahead of the curve in the Vacation Rental Industry not only when it comes to Website Design and Marketing but also how the industry functions, right down to the consumers. What better way to share than just plain talking about it. 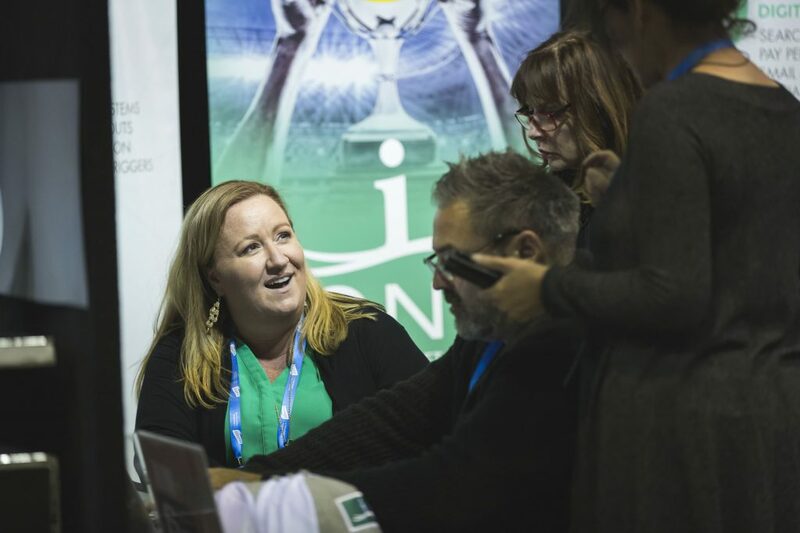 On our first episode we have April Burns, one of ICND’s Account Executives and David Thompson, our Social Media Director talking about where the industry is going as a whole, what the biggest buzz topic is right now, and what April’s favorite drink is. We hope you enjoy our podcast and have a couple laughs while we bring light to some major vacation rental topics that effect us every day. This podcast is also going to show you who we are as a team and as people. We want everyone in our industry to know that we aren’t a bunch of web developers that don’t like sunlight… ok some of us are; but we are also people just like you and we face many of the same struggles that Vacation Rental Professionals face every day. And we want to come up with solutions that makes all of our jobs a little easier and a little more fun. Start following us on Twitter, Facebook or LinkedIn. We will be publishing episodes every month and would love your feedback and encouragement. If you have suggestions for the show, don’t be afraid to send them in! With such a mix of people, we have a lot professional diversity which gives us a unique perspective. You never know, we might just solve a problem for you. If you think it’s funny and informational, share it. We want to make our industry better and I think we can all agree from the latest #BookDirect campaign that we can make an impact if we do it together. We hope you enjoy our podcast and our “crazy” team. We certainly enjoy what we do, and the industry we get to serve. Laugh a little and join us for a informational roller coaster. Are You Swimming Into or Against the Current? I left a marketing position for resorts in 2009 to join ICND where our focus was on vacation rentals. I quickly learned that the vacation rental industry was similar to the hotel industry, but growing quickly and up against some of the same hurdles as the hotel industry as well as many different challenges. Similarly, the hotels had already gotten comfortable with putting their inventory on the OTA’s only to learn that the OTAs then wanted rate parody, didn’t give the guests information, and were squeezing profit margins with their high commission fees. The hotels had to learn how to get guests to come back and book direct through direct marketing channels such as email and direct mail. They already understood the power of an email address and how important it was to get a guest to come back and #bookdirect. Differently, the vacation rental industry faces a large amount of legislation from having most of their inventory amongst full-time homeowners who are complaining about vacationing guests being too noisy and disruptive in their neighborhoods and complexes. For hotels, they already were zoned for rentals. However, with the introduction of Airbnb into many of their neighborhoods and causing more competition, they are busy fighting against vacation rentals in metropolitan areas such as New York City. By 2009, hotels had already gone through the era of major brand franchising and acquisition of mom and pop run hotels. Even the “mom and pop” brands had grown so big, managing multiple resort properties they had already performed much like a corporation. Meanwhile most of the vacation rental industry had historically been owned and operated by “mom and pops” successfully. ResortQuest was acquired in October 2010 and entered one of the major travel brands world-wide. In August 2008, a company called Air Bed and Breakfast entered the marketplace, bringing new ideas and business model. The idea of shared accommodations entered into the playing field. While the vacation rental industry was known for renting the whole house, cabin, or condo, the idea of being about to rent a room or apartment short-term was now a possibility and added, not only awareness to vacation rentals, but also additional legislative battles we are facing today as an industry. By the time Expedia announced they would purchase HomeAway in late 2015, HomeAway was already living in the shadow of Airbnb as one of the most highly valued privately held companies. Today, Airbnb, Expedia, and Priceline (through Booking.com) continue to drive continued awareness (and traffic) to the vacation rental industry. Still, most vacation rental companies continue to be owned and operated by sole proprietors in locations that are historically well-known for vacation rentals such as the Outer Banks, Gatlinburg, and Breckenridge. As inventory in these areas doesn’t grow as much as the demand for vacation rentals allows vacation rental companies to increase rates, book more shoulder season stays, and increase their customer base. The original vacation rental companies that were founded 20, 30, and even 60 years ago were built on blood, sweat, and tears and often handed down leadership across generations. When we look back at the last two decades of the vacation rental industry, we realize we are in a time of big change with disruptions on many different levels of the business. This disruption has led vacation rental company owners and managers to face many challenges like having to have a bigger presence in legislation and advocacy on a local, state, and federal level. 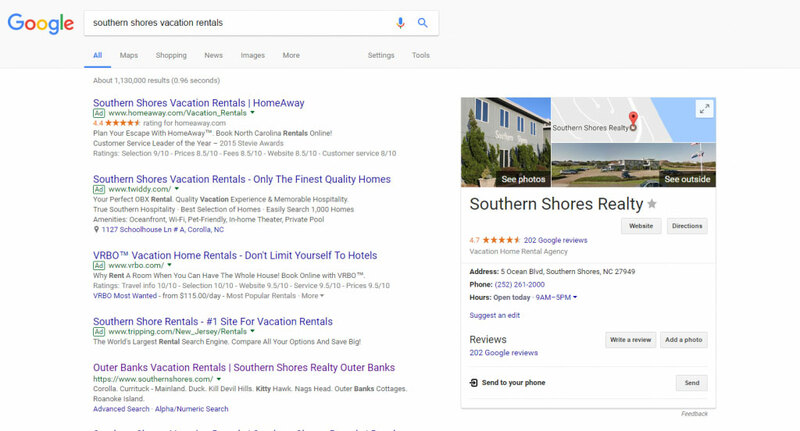 It’s made vacation rental companies have to compete not only on a local level, but against large brand sites across the search engines and other marketing mediums. It’s caused changes in business models and using technology to streamline the company to perform as cost-effective and creative as possible. It’s brought about mergers and acquisitions at a pace the industry has never seen before. It’s caused increases in operational costs, marketing costs, and a decrease (many times) in commissions to manage properties. Vacation rental managers feel like they are often squeezed by both ends. 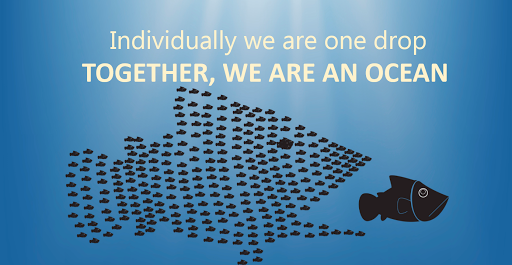 But together, VRMs are doing amazing things against the rising tide. The changes have also brought many positives, like a tremendous amount of awareness to the overall idea of vacationing in a house, cabin, condo, room that somebody else owns, as well as destinations that weren’t typical for vacation rentals. It’s opened up the amount of inventory available to manage. It’s help to show us that there is a huge amount of potential in delivering our message to millennials and they can, in fact, be very loyal to a brand. Technology has allowed us to be more creative and cost effective with every facet of running a vacation rental company: management, operations, housekeeping, and marketing/communications. But, in time with such attention to our industry, we are asking ourselves, how will we continue to compete? How will you continue to strive? With marketing, there seems to be two roads… distribution, or more direct bookings. And even if you rely heavily on distribution, in the back of your mind, you know… you need more direct bookings. It’s like the holy grail of vacation rentals, but also smart to maximize your exposure with bookings through distribution channels. Step 1 is having a website that is easy to use, allows for you to market your properties, integrates with your software, and allows for you to communicate directly to guests. A good website is built to be mobile friendly. More than 50% of traffic, on average, comes from a mobile device and conversion rates are going up every year. That means, a majority guests are still booking from a desktop, but more and more from mobile. There are different tools out there like HotJar and Google Analytics that will tell you if your site converts well. You should always be looking to improve your conversion rate. Additional items that help you increase your conversion rate are quick user experience, offering search criteria that make it easy to find the right property, and offering all of the possibilities of linens, pet fees, add-ons, and travel insurance without having to call. In case you missed our last email, we gave you a checklist of items that help you convert more visitors into online bookings – Top 10 Marketing Power Moves. Step 2 would be to make sure people can find your website in the search both organically (SEO) and through paying to cut through the clutter and be at the top through Pay-Per-Click (PPC). It’s time to invest in your website and digital marketing. What is your value proposition for search audiences that is going to make them book with you? Do you have the largest inventory of vacation rentals in the area? Do you offer a different guest experience? Do you offer something for free? You can always brag about the no traveler fees when you book on your site to help educate guests to come back and book with you direct. Step 3 is to use social and email marketing to drive traffic to your website and to remarket to the visitors who have been on your website and haven’t converted. Email addresses are essential to be collected from guests that have stayed with you before, no matter how they found you. Emails should include: an offer, a reason to come (upcoming events or things to do), and call to action. Distribution is not out, but when you can market your properties on your own, these disruptions make a ripple rather than a wave. Distribution can still be used for tougher to rent properties, or shoulder seasons. Programs, like ICND’s Distribution partnership with MyBookingPal allows you to block out certain periods (like your peak periods) and only select those homes that need the boost to go out into the land of distribution. That helps maximize your income from your top performing dates and properties. To be honest, I’m excited about what I see in the industry trends: the amazing amount of growth, the influx of technology, and the amount of investment. But we can’t just sit around waiting around to see what happens next, but make sure we are on top of our game. Don’t be a dead fish. We don’t have to go with the flow. Even if the current feels strong, ICND is here to help. Connect with us about your pain points and let us help you overcome your hurdles. Our experience with building websites and marketing for a diverse portfolio of vacation rental companies across the world allows us to provide the expertise to help you succeed. Social media has definitely earned it’s place in the ring with the big boys when it comes to vacation rental marketing. It has allowed us to engage with audiences on a very personal level and connect with people that were outside our grasp previously. However, there are some things that social media does not do and, in some cases, it tends to get a little too much credit in the grand scheme of the digital marketing plan. Today we are going to discuss 3 mistakes you’re probably making with social media. Where’s the ROI? So many people ask, “how can I track return on investment when it comes to social media?” Well the answer to that question is, stop making that your priority. Social media was never intended to make big conversions in the realm of digital marketing. Not to say it can’t, but don’t force it. Remember that people engage on social media to be social, not buy something. Constantly pushing products and promotions on someone will only make them disengage and eventually unfollow you. Instead, use your social channels to promote your brand as a whole and let the consumer decide whether or not they want to purchase from you. This is a hard step for most marketers out there because we have to let the consumer decide, it would be easier if we could just make the decision for them! However, when you use your social channels as branding tools instead of sales tools, you begin to attract people that will relate to your brand and in turn, your products. Facebook isn’t everything. When I say social media most people think of Facebook. Just to be fair, Facebook does hold an extremely large audience when it comes to the Vacation Rental Industry and they have made it very simple to engage with that audience but don’t think that Facebook is the only thing out there. There are several other social channels that most people do not use that can be extremely valuable and require less upkeep than Facebook. Pinterest is a great example. Also, you don’t have to worry about nasty comments with Pinterest because most people get on for ideas and, let’s face it, to waste a little time. The audience on Pinterest is about 85% women ranging from all ages which is perfect for VR. It also allows you to build a following and engage with others. Definitely worth checking out in our books! Another great undiscovered gem is YouTube. Video has become one of the main sources of content in today’s world which is why you should be investing time and energy into YouTube. It is also a part of the Google family and can help with your organic SEO ranking. So basically you’re killing two birds with one stone. These are just two examples of a very large list and once you start thinking about social media as branding, you will begin to see how you fit into virtually all social channels. Audience, audience, audience! Don’t forget who your audience is. I have seen so many social campaigns fail because the person behind the account forgot who their audience was. A tactic that can be useful is to create a persona. A persona is an outline of your perfect consumer and can be extremely helpful when you’re planning your next social campaign. Especially when you’re neck deep in graphics and statistics and you forget why you started the campaign in the first place, we have all been there, done that. Everything you talk about and promote should in some way relate to that audience. Guaranteed, if you do this you will see a huge impact across your social channels. Overall, don’t treat your followers like a number. Your fans want to be known as individuals and if you engage with them and show them that you care about their interests, it will have a tremendous impact on how they perceive you as a company. And if all this seems a little too much, ICND is here for you and we have years of experience managing social channels and would love to point you in the right direction. Yes, you read that correctly!! We are happy to announce that BookingPal, the world’s largest and most advanced vacation rental distribution platform, has signed an agreement with ICND to be our preferred partner for the distribution of rental listings!! This is wonderful news for clients of InterCoastal Net Designs because it provides them total access to BookingPal’s extensive network of the biggest online travel websites that include Airbnb, Booking.com, Expedia, HomeAway, Priceline, VRBO, and other major sites. Clients of ICND will be able to create listings and connect property data seamlessly, eliminating all manual work. Setup is fast and BookingPal’s reservation and payment processing team is always available to ensure accuracy and support for all listings. BookingPal provides property managers with the best tools available while furthering the vacation rental industry’s progress in technology. This will result in more direct online bookings, increased conversions and strengthened brand awareness giving property managers the ability to grow their business by capturing the additional market share they may not currently have. What makes BookingPal worth getting excited about? The myBookingPal channel manager software toolset provides electronic connectivity between a supplier of rep level and key level properties and 3rd party distribution channels. myOptimize scores content to calculate listing quality and provide key feedback to achieve optimal channel placement and conversion. Additional managed distribution services offered through BookingPal include consolidated contracting, consolidated accounting and reporting, additional content syndication services, revenue and yield management tools, consulting, analytics, transaction processing and payment services. At ICND our commitment to innovation and research has allowed us to assure our clients stay on the cutting edge of their industry. 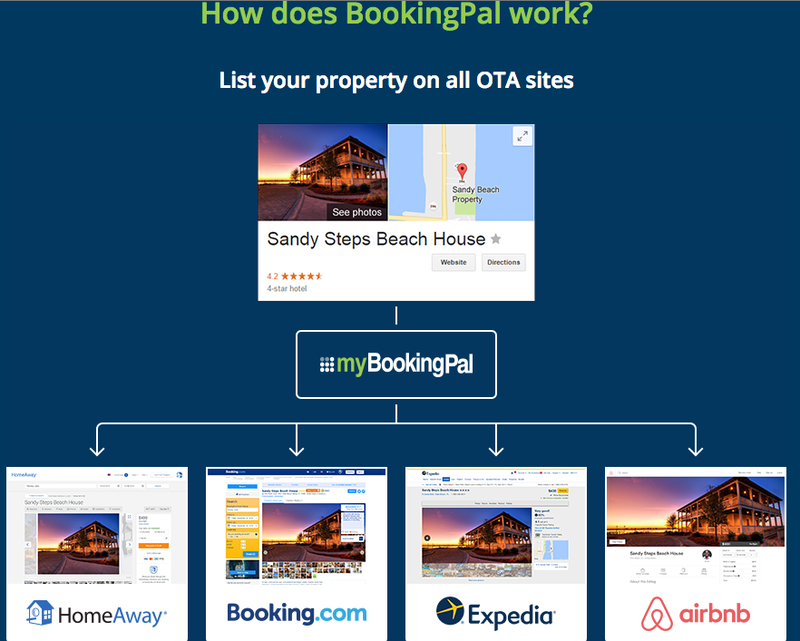 As the preferred distribution partner for InterCoastal Net Designs, BookingPal will connect our clients to the largest vacation rental and online travel agency network worldwide while taking advantage of unique content optimization and their revenue maximization services. Recently HomeAway has let their customers know that they will be changing the way that leads communicate with companies and owners that list their properties on HomeAway. As one of the last Online Travel Agencies (OTAs) to email leads and allow direct communication with guests before booking, many Vacation Rental Managers are concerned that they are going to lose valuable lead information. To many owners / vacation rental companies, they view these leads as part of their marketing plan by integrating follow-up and promotion in their marketing mix. I think back to hotels in the early to mid-2000s. They often used the OTA’s (Online Travel Agencies) like Expedia, Travelocity, and Priceline to move inventory. However, they found that they were training their guests to go to these sites for the best deals. (Sound familiar?). To add insult to injury, the amount of commissions that were getting paid to OTAs made it a struggle to keep their operations budgets in the positive. And I think, in a lot of ways, it drove down the rental rates as the OTA’s insisted on rate parity and getting the lowest bargains to promote on their websites. Now, these OTAs have a big presence in the vacation rental industry. To be completely honest with you, there is no perfect solution. But, it’s not all doom and gloom. If you are a new company, you probably rely heavily on Online Travel Agencies (OTA’s) to help you fill your inventory. But I tell you this, you have to have a strong digital marketing presence, look at the cost per acquisition (CPA) of both guests on your website and on OTA’s, and focus on the lifetime value of that guest — with extensive marketing post-booking to ensure repeat guests. It’s really all about developing your own digital footprint with your guests. It may seem really obvious, but make sure the Name of the rental and the Address of the rental are Optimized in the Search Results (or SERPs – Search Engine Result Pages) to send traffic to your website. Also, be sure to optimize any features that are unique to that rental. For example, we stayed in a home in the Outer Banks that had the pool table from the movie The Hustler. When I couldn’t remember the rental company, I was able to Google the "Vacation Rental OBX with pool table from the Hustler," and it came up in the results. Same with the name of your property. Say the rental’s name is "Paradise at Penn Cove," make sure you are Dominating the Search Engines for the name and addresses of each property. Having a good URL structure with the name included will help increase those results. If you are like many of my clients, you probably have a Large Database of leads from HomeAway, VRBO, Flipkey, etc. Harvest your leads and store them in an outside database. This can be an export in Excel if you don’t have a CRM. Use these databases to enhance your marketing. Make sure you inform your customers that they will save the booking fees (up to 15%) by booking direct on your website. Let them know, for this particular unit, they will get the best deal on your site – guaranteed. Think about using repeat guest specials. What’s their incentive to book with you again? We have a great program that can tap into your historical booking data, help you mine data from previous stays, and help you reach out to people and remarket through PPC and Social Media, your past guests. The message is again, Book Direct and Save, but also Branding. There are many key points of gathering leads. But the most popular we find on our sites are the "Request More Information" from the property detail page, as well as Send to a Friend. Remember, vacation rental guests generally want more information, ask questions, and engage with the company they are going to rent through. Vacation rentals have a history of being a little more "high maintenance" than booking a hotel room. People may do a search to find your website to talk with you more, verify rates and best deals, and search out specials. Make sure you have all of this information readily available on your site. Social media and paid advertising (PPC) allow you to stay in front of people who visit your website. You can put tracking on your website (in the code) that stores the pages that a visitor goes to you. Based on the activity, you can serve up ads on Social Media and Display ads through Google’s Ad Network. Use this to increase brand awareness, stay in front of visitors who haven’t converted, and promote deals and sales that can turn a "looker" into a "booker." If you haven’t noticed yet, you will soon find out that not only are OTA’s dominating Organic Search, no longer linking out to your site or promoting your brand on their site, but they are also GOING AFTER YOUR BRANDED SEARCH PHRASES IN PAID SEARCH. WHAT?! Sorry, I get a little worked up about this. As if your organic search results aren’t pushed down far enough, now we HAVE to bid on our brand names. And we are competing with mega budgets. The good news is, if you are that company, you are going to generally pay a lower Cost per click (CPC) than your competitors because you will have a higher Quality Score. A quality score is generated by Google by taking a look at the Click Thru Rate (CTR), content of the ad, and content of the Landing Page. You should always be monitoring and optimizing your quality score to ensure you are showing the highest for the lowest possible amount. So those who have a lower quality score, will have a higher CPC and have to bid more than you. By Google Local, I mean what is known as the "map pack". For many area searches like "Panama City Beach vacation rentals" the map pack will be included below the paid ads, but above the organic search listings. There is a science to showing and maintaining rank in the map pack which includes Not hiring a company that does any Black Hat SEO tactics for short term results. The best way to get up there (and stay up there) is to have your profile completely filled out and utilize Schema markup in the code of your site. Schema markup is code (semantic vocabulary) that you put on your website to help the search engines return more informative results for users. You should also focus on Getting Reviews. Ask your happy customers for reviews. 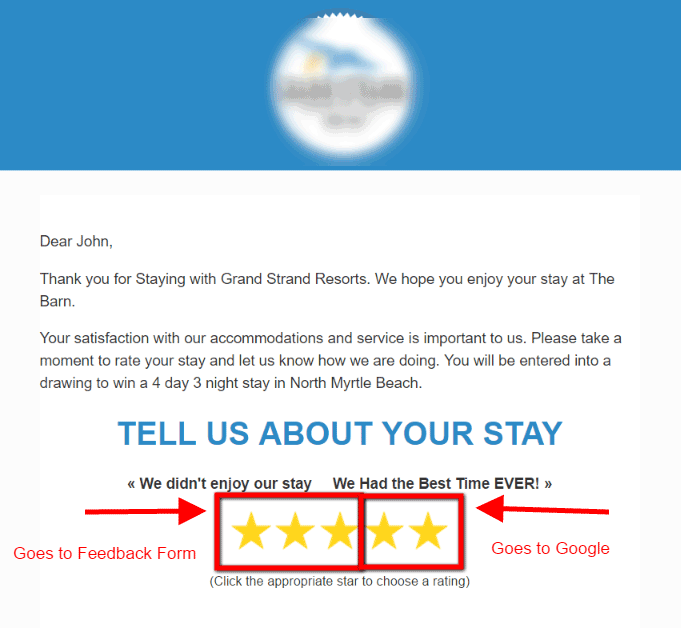 We also have a great survey program that helps push satisfied guests to Google to write you a positive review. The first three stars link to a guest satisfaction survey. The last two link to Google. What does your doctor tell you? "Too much of anything is bad for you" and "Everything in moderation." The same with a good marketing mix. Sure, if you are a new company, you are going to rely heavily on getting your inventory rented on OTAs. But, that’s not a long-term marketing strategy. You’ll have a tough time keeping owners if all you are doing is renting through OTA’s. They will think they can do it on their own (even if they are wrong). Start with the Basics – an optimized website, email marketing, paid advertising, and social media engagement. As your budget allows, start doing more social media advertising, adding remarketing, and hire a professional company to help you out. Our clients that don’t rely on OTAs have historically had better return on investments from their digital marketing. Their customers are trained to…Book Direct! Don’t forget the power of a great brand and how you can impact that brand on your guests to come back and stay with you. Think of things like giving swag to stay with them after the trip. Also, think about who your brand is and what your brand messaging is. Does your guest know this message when they leave and is it something they can relate with? Airbnb does a great job of branding to the millennials which a few years ago, we were told were the most un-loyal generation, ever. Today, we see them embrace a cult-like following to brands like Apple and Airbnb. Think of what you want your company brand to be and embrace it. There is no doubt, the vacation rental industry is evolving into something it wasn’t as soon as a few years ago. Our messages and marketing need to be strong, more precise, and engaging more than ever before. Long gone are the days of mass-mailing brochures and filling up peak-seasons. Today, each vacation rental has more opportunity and threats than ever before. However, ICND is ready to help guide you through with a strong digital presence in both your website and your marketing. 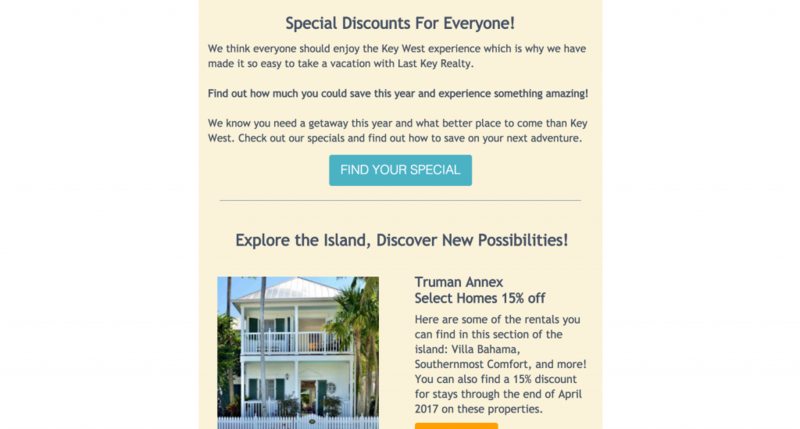 One of the tools we see that is underused or not used properly in the vacation rental industry is direct email marketing. Often, people consider this to be an “old” tactic or their email itself looks like it is from 2001. However, with the proper efforts, email marketing can be one of the most powerful tools in your vacation rental marketing arsenal. But what makes a good email marketing campaign, or even a good email for that matter? Here are five tips you can use to improve or launch your next email campaign. Make sure you are mobile friendly. We live in a world where everything is at our fingertips in this little device called a smartphone. If your marketing plan doesn’t revolve around this device then you should look at revising it. Some statistics say that over 60% of emails opened are on a mobile device so your design and methodology should revolve highly around mobile. At ICND we are always updating our custom email templates and improving them for mobile usage. In many ways this goes beyond just pixel size. Have the right focus and goals. Don’t try to make bookings with an email. The point of sending an email is to drive traffic to your website, not to make bookings. Although we can attribute bookings to email campaigns through analytics to show the value and return on investment, this should not be the goal when designing and planning. Because of this, you want to make sure your brand is consistent across the board. For example, if your email talks about a specific vacation rental special, when your buyer clicks through to the website they will expect to know more. Whether that is in the form of rental properties, information about the specifics of the vacation special, or how they can receive the discount in the near future, you will need to make sure they know what to do. Focus on driving traffic and let your website do it’s thing. Create a message. One thing we suggest with our email marketing is to drive a specific message. Instead of focusing on several different topics in one email, focus on one and really drive the message home. This makes sure that your audience knows what you are trying to promote and will allow you to understand what offers your target audience wants and does not want. Make it a visual experience. Many emails can be bulky with random images and a lot of text. Though you should follow the 80/20 rule with text to images, make your email a visual experience. Take some time to put your best foot forward with your imagery and select things that really capture what you are promoting. One thing to remember is if your email has too many images, it is likely to be marked as spam. You can also add another layer of spice with colors and fonts. 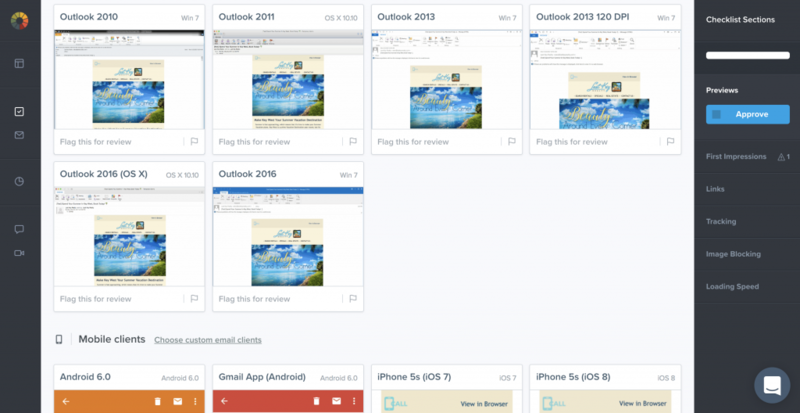 This can be slightly tricky when you are designing for 28 different email clients i.e. outlook, gmail, yahoo, iPhones, etc… so if you get stumped, we are always here to answer your questions. Testing and measurement. When you are done and have everything just the way you want it, don’t forget to test your email before sending. This will tell you if it is going to look right when the recipient receives it through their email client. And if by some chance it doesn’t look right, a view in browser link isn’t a bad thing to have at the top. Also, don’t forget to measure your campaigns. It is all for nothing if you aren’t measuring how your email campaigns are performing. You can use http://www.litmus.com to test your email campaigns. All in all, there are many things that go into creating and executing a successful email. These five points, although valuable, are just skimming the surface when it comes to everything you have to do. So if you want to add or improve your email marketing but some of this just seems a little too overwhelming, reach out to us and we would be more than happy to answer questions and start you off on the path to success with your direct email marketing.